Unity Group, which has built over 100 commercial buildings here, has forayed into housing segment to develop this 40 acre complex at Karol Bagh, comprising a total of nearly 2,700 units in 22 towers. The twin towers will be part of this project. The twin towers were launched in presence of Italian Ambassador to India Lorenzo Angeloni. Italian luxury brand Versace and realty firm Unity Group on Thursday announced tie-up for developing the Delhi's tallest building, comprising 160 branded luxury apartments, with an investment of about Rs 500 crore. The 46-storey twin towers, with interior design by Versace Homes, will be the tallest approved building in the national capital with 182 metres in height, Unity group Director Harsh Vardhan Bansal told reporters here. These branded homes will be sold on invitation and price is likely to be about Rs 15 crore for a 5,800 sq ft apartment. "The branded luxury apartments will offer a range of unique amenities that embrace everything Versace stands for - superior quality, contemporary design and innovation through a combination of ultra-modern facilities with unmatched style," said Gabriella Saracino, Worldwide Licensing and Home Division Director, Gianni Versace. She said this will be the second housing project for Versace brand in India, which is an important market for the Italian fashion house. It is doing a project ABIL Mansion in South Mumbai. In recent years, Saracino said the company has started to focus on luxury residential projects around the world, such as the Aykon Lonon One in London, the DAMAC Residences in Jeddah and Milano Residences in Manila. Asked about the investment, Bansal said the total project cost is Rs 3,000 crore and out of that Rs 500 crore would be for Versace twin towers. The construction work has started and the project will be completed in next 4-5 years. At present, the Civic Centre building in the central Delhi is tallest with a height of around 110 metre. Unity Group is currently selling homes in this project in a price range of Rs 1.5-5.5 crore at a rate of Rs 14,000-15,000 per sq ft. The price of Versace branded flats has not been decided but it is expected around Rs 25,000 per sq ft. Unity is developing this project in joint venture with DCM group. This land parcel was earlier used by the DCM group for housing accommodation of Delhi Cloth Mills workers. 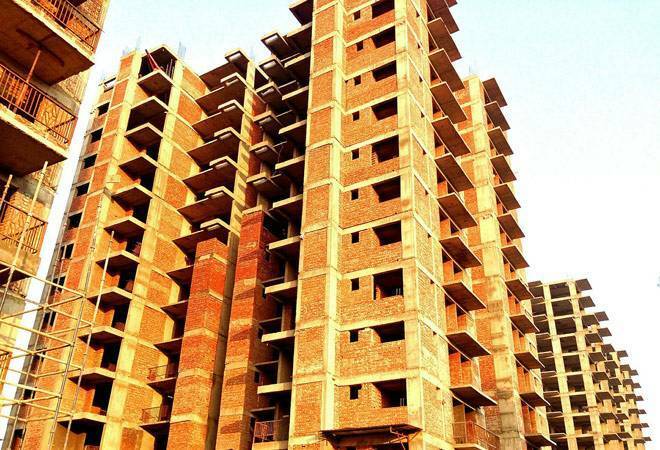 In Delhi, there are very few housing projects being developed by private real estate players. Indias largest realty firm DLF is developing a housing project at Moti Nagar in central Delhi. Parsvnath has housing projects at Civil Lines in north Delhi and Subhash Nagar in west Delhi. Founded in 1978 in Milan, Gianni Versace SpA is one of the leading international fashion design houses. It designs, manufactures, distributes and retails fashion and lifestyle products, including haute couture, accessories, jewellery, watches, eyewear, fragrances and home furnishings. Unity Group is a diversified group with interests in real estate, hotels, educational institutions, automobile dealerships, marble and healthcare. It has recently delivered two multi-level car parking with retail projects in collaboration with DMRC (Delhi Metro Rail Corporation) namely Unity One, Janakpuri and Unity One, Rohini.